It is crazy to think that 5 years after her debut, Heize has finally released her first full-length album, She’s Fine. The multi-talented singer, rapper, songwriter and composer has countless amount of singles, extended plays and collaborations with well-known artists underneath her belt. 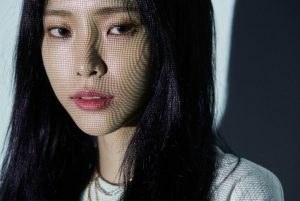 Heize can also be recognized as of the voices behind the captivating theme song of the highly rated Korean drama Goblin: The Lonely and Great God. So given her background, releasing a full-length album earlier should have been of no issue, correct? Half-correct. As talented as Heize is, She’s Fine is an album running on a spectrum of personal experiences that cannot be fabricated. Heize writes and composes all her songs, so time and growth are both factors needed to be able to express the emotional depth of the tracks that have been presented. The musical genre of She’s Fine stays true to Heize’s previous releases by continuing to show her characteristic musical blends of R&B, neo-soul and hip hop, with a side of jazz. In terms of listening quality, She’s Fine runs similar to Epik High’s recent release, Sleepless in __________. It is full of melancholic tunes making it an easy listen, coffee shop vibes. However, do not let Heize’s calming voice fool you. 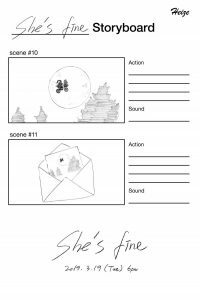 She’s Fine is a collection of lyrical time machines meant to draw you back into time. In these times, we relive the many memories of bittersweet heartache. Memories of the word “fine” are the first to stand out. Fine is a word meant to express a feeling of satisfaction, but has grown to represent different feelings based on the context and tone of voice. 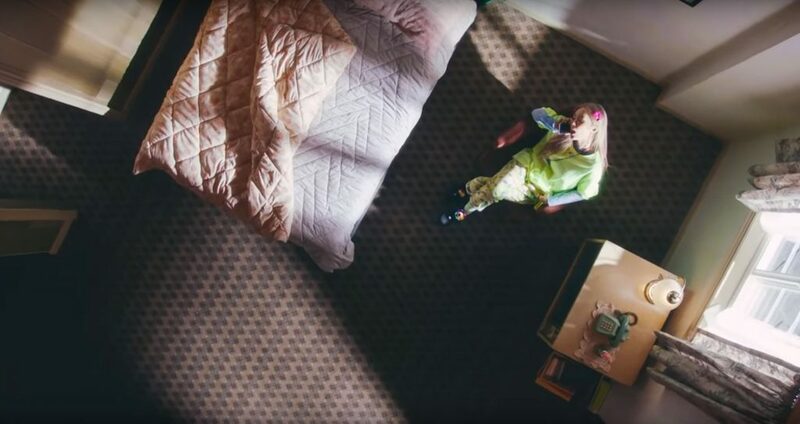 In the title track, “She’s Fine”, the word is used to quickly shut down meddlesome questions, and to distract Heize from dealing with her pain. “She’s Fine” uses the upbeat tempo of neo-soul tunes. The choice of this genre makes it seem as if Heize is really trying to convince the listener (and herself) that is she fine. The word “fine” also comes up prominently in the song “E.T”. If it wasn’t obvious from the title, Heize draws her inspiration for this song based off the movie E.T. the Extra-Terrestrial. “E.T” is the last song of the album, and to close out the album, Heize leaves with a feeling of acceptance. “Fine” used here is a lot more sensitive, and is meant to be reassuring. Heize connects herself to the story of E.T. through the bitter sweetness of saying “Goodbye”. After all the emotional turmoil, finally being able to have acceptance allows for growth towards new horizons. Unlike the other title track, “E.T” is incredibly soothing and acoustic in sound. The simplicity of the composition reflects an emotional complexity from experiencing peaceful sadness. Memories can also be told through classic stories. Prior to this album release, her single “First Sight” ran along the lines of the Snow White fairy tale, and as discussed earlier, “E.T” was used as an example. In the track “Tree Only Look at You” draws connections to “The Giving Tree” by Shel Silverstein. “The Giving Tree” is a story about a tree that loved a boy, but as the boy grew older he would leave the tree for long periods of time to live his life. The tree, confined to its one spot, continued to give and give to the boy for the things he needed in his life, such as branches to build a house, the trunk for him to make a boat to sail away. 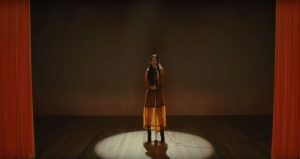 “Tree Only Look at You” is a somber song about Heize wishing to become like the tree. Her wish is to be a constant for the one she loves. It is okay if he leaves, it is okay if he forgets her, but when life gets difficult he can turn to her, or even use her. The song features the vocals of Jooyoung singing from her love interest’s perspective. Jooyoung expresses the burden of Heize’s feelings; he doesn’t have any lingering feelings and does not want difficulties for her. He wants Heize to be able to move on as well. However, Heize is so distraught that even the coldness of his voice is something she still wants to hear. Another somber song that borrows a male voice is “So, It Ends?” This song sounds like it would be perfect for a Korean drama–that part when the main couple finds out the male lead had a connection to the female lead’s dead father in the past that has left scars that both characters are unsure if they can recover from. No, wait, so we can’t see each other anymore? The male perspective is sung by singer Colde. Colde supports Heize’s delivery with an equally tearful sound in his voice. The composition of the interaction is interesting: after Colde’s verse, it does not go straight into the chorus as a traditional song would. Rather, the song enters a musical intermission much like an actual conversation between two people who are separating. Each of them has said their piece, but they are now struggling for words. What else is there left to say? Weather plays another poetic role in Heize’s memories. The piano key strokes in the jazzy song “Umbrella Calls For Rain” mimics the sound of water and the intensity of the bass feels like the rain drops falling onto the face. This song seems like it should come after “So, it ends?” Heize is left to process her shock and her thoughts as she walks by the Han river almost aimlessly. The moment of reflection is simple, yet it is made relatable by the imagery. “Umbrella Calls for the Rain”. Heize describes obvious things, such as the sun rising as morning comes, and how people use umbrellas when it rains. But she uses unusual images as well, such as snow falling on a summer day to express how she feels. Although that may come off as gloomy, “No Reason” is actually one of the happier tracks of the album, with Heize remembering how much she loved her significant other. There is a sense of protectiveness towards her loved ones in “Tree Only Look at You”. The need to protect repeats in the track “Knock Sir”. Heize is up late in the evening, writing a list of the names of people she loves. The weather motif continues here: Heize’s desire to be the giving tree that protects her loved ones from the rain is motivated by her love. She bears the brunt of the storm to walk through the rain and provide shelter to the ones she loves. “Buddy” is a song of protection as well. It is much more haunting in sound, though, as Heize reflects on the solemn expression of the face she remembers. Her willingness to go the distance shows through her stubbornness to stand in the cold rather than going home; however, her efforts feel useless as she does not know what kind of expression or voice to use to remedy the situation. Then there are memories of being in the spotlight. “Dispatch”, known for releasing celebrity couple news, is the title of Heize’s song about the pain of hiding her relationship. She can’t show love and she can’t show her pain. 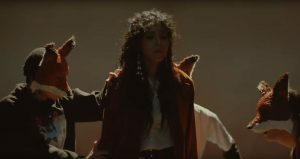 In Simon Dominic’s rap part of the song, he expresses the sense of doubt over whether the relationship in question even existed after breaking up, because it had to be hidden. The bass that picks up in the chorus, much like in “Umbrella Calls For Rain”, but instead of creating the effect of rain, it intensifies a sense of emotional anguish. “Hitch Hiding” is a glamorous song, from the glittery introduction to the whispering “vogue”-like voices. The song sounds like it should be for a fashion runway. The music echos a sentiment of constantly being in the spotlight, but the lyrics speak a different story: Heize’s desire to hide from it all. Heize’s refrain in the chorus, “I’m hiding from reality”, is backed by a choir, echoing the thematic idea of hiding in a crowd. We’re drawn back to the beginning, to be place where Heize is “fine”. In the spotlight, she can only put up an image of being “fine” up to a certain point. 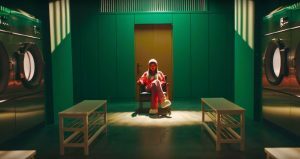 “Hitch Hiding” shows Heize’s exhaustion and eagerness to run away–from the spotlight, from her emotions, and from herself. The entire album, from compositions to Heize’s hauntingly soothing voice, connects together in a way where only time and experience can make up the main ingredients. It is delicate in production and to the ears, and has an emotional vulnerability that is Heize’s specialty. It makes sense that to be able to express this level of rawness, a first full-length album would take Heize this long to craft, and it leaves fans willing to wait another 5 years more.